I received one of those calls this afternoon. It’s the type of call that you never expect and seems to bring life to a halt. I graduated from small high school in Newberg, OR. One of my 11 former classmates was walking home from work, was hit by a car who had run a red light, and after hours of surgery, the doctors were unable to save him. Phillip passed away early this morning, leaving his precious wife of just under one year, younger brother and parents behind. My generation (Millennials), like many before us, feels invincible. We’re young. We’re excited for life and its abundance. Amidst life’s tragedies and unexpected turns, we expectantly, and sometimes naively, cling to the goodness of humanity and our collaborative potential. And yet life is so very fragile and precious, and in a moment, it all could be gone. The insurance industry wrapped up Life Insurance Awareness Month 2015 at the end of September. As part of the campaign, and with the help of the organization LifeHappens.org, my team and I posted 30 days of articles, quotes, videos and memes about the importance and value of life insurance. But throughout the campaign I struggled with how to best communicate about life insurance with my generation, Millennials. Millennials are statistically burdened by student loans, underemployed, and have so many competing financial priorities. Due to the financial pressures they are under, Millennials aren’t purchasing the insurance coverage that matters most: life insurance. And yet, they have the most to gain. Debt. Along with our underdeveloped emergency funds, financial exposure for Millennials is high, because we are plagued with debts: student debts, credit cards, and young mortgages to name just a few. Once we get married, many of us could leave our spouse in tenuous financial position should something horrible happen. Cost Savings. Life insurance is generally less expensive the younger you are when you purchase it. Insurance providers base the cost of life insurance upon risk, and statistically speaking, the younger you are the more life you have to look forward to. As a lower risk to the carriers, Millennials’ insurance costs are less and, therefore, should be encouraged not to wait and purchase insurance now. Fragility of Life. Despite Millennials’ invincible, carefree, and youthful spirits, we are human. And as humans, we are vulnerable. Life happens. The unexpected occurs. Tragedy falls. Life insurance, while it can never make up for the loss of life, it can help lessen the financial blow of a lost life. Lack of Savings. Millennials are still young and are less likely to have grown personal savings or an emergency fund. Life insurance can help Millennials prepare for the unexpected and make up for a lack of savings in case of the unexpected passing of a loved one. Potential. While other reasons for encouraging proper insurance coverage for Millennials may be a bit heavy, this last reason is optimistic and practical. 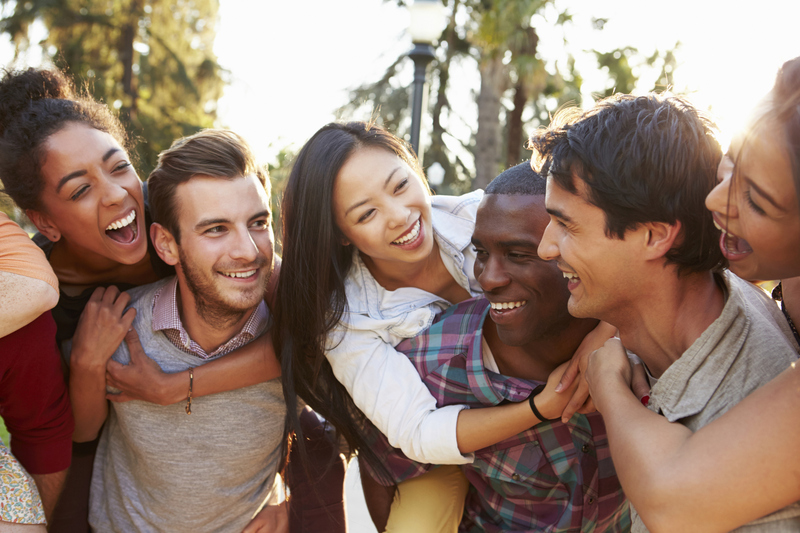 Millennials are young, and therefore our savings and financial habits are still malleable. By putting money aside each month in a life insurance policy with living benefits and cash value potential, Millennials can develop solid financial habits that will serve them well through retirement. Reaching a younger generation about the purpose and value of life insurance can be challenging, but the reasons for doing so are clear and fitting.